Often we take cues from leaders in the private sector to establish benchmarks to which we measure against our ongoing business projects. 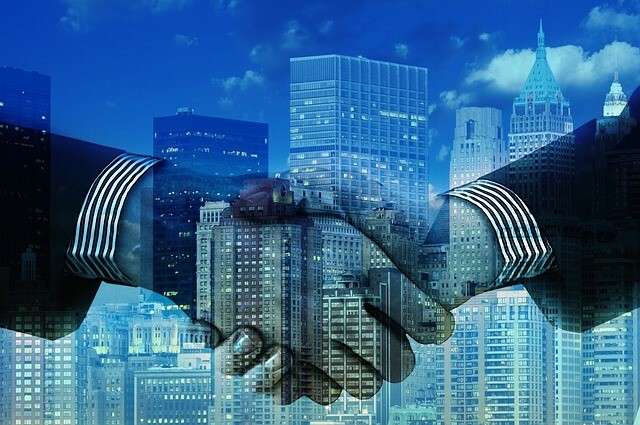 However, in this article we will talk about how the Defense Contract Management Agency (DCMA) negotiations with the Bethesda, Maryland-based company, Lockheed Martin Corporation are an example of how contract management is a key component of business. First of all, let’s establish what the DCMA is. It is the Department of Defense (DoD) component that works directly with defense suppliers to help ensure that DoD, Federal, and allied government supplies and services are delivered on time, at projected cost, and meet all performance requirements. In order to keep a healthy project management atmosphere and hold all parties accountable for the effective management of large and complex projects, the DCMA mandates the use of the Earned Value Management System (EVMS) for all of its providers. According to Bloomberg Businessweek, back in 2007 the DCMA first raised concerns about internal company data generated for Lockheed’s fighter programs — the F-35, F-22 and F-16 jets. Given that Lockheed’s aeronautics unit had not been able to provide significant progress to successfully complete a corrective action plan, the DCMA decertified the Pentagon-mandated Earned Value Management System for the contractor’s aircraft operations in October 2010. More specifically, Tony Cappacio from Bloomberg states that the “the F-35’s estimated cost for a fleet of 2,443 aircraft has soared to $395.7 billion, up 70 percent from $233 billion in 2001 in current dollars, according to the Pentagon”. The EVMS attempts to answer two critical questions in contract management. First, when will the product be delivered, and second, how much will it cost? When Lochkeed was not able to provide appropriate system tracking of costs and schedules for the F-35 jet contracts in 2012, the DCMA withheld $47 million in payments. As of September 2013, the withheld payments amount is set to balloon to $195 million. Despite the inefficiencies in the project management from Lockheed, the DCMA was able to establish in 2011 a rule through the EVMS that required all contracts to include specific clauses that would establish the withholding of payments if deficiencies persist with primary business systems. When handling several contracts, it would become imperative to not only establish such a clause uniformly across all business units but also to setup automatic reminders to check for it periodically. An enterprise contract management system does just that; it helps mid to large size enterprises efficiently include language to detail the potential for withholding payments in case of improper cost tracking and scheduling. While the DCMA sets the limit that any DoD agency can withhold from the billings under this regulation at 5 percent, which is the amount being applied to Lockheed, a company in the private sector should apply a percentage that is appropriate to its specific industry. By clearly establishing these clauses in the library of a contract management system, there would be much more control in the application of such clauses across the entire enterprise to protect your company from overbilling by vendors that did not estimate projects well during the bidding phase. While projects may vary from their original schedules and costs, it is important to establish a clause that limits the payment to the vendor in case of consistent deficiencies in meeting deadlines and deliverables.